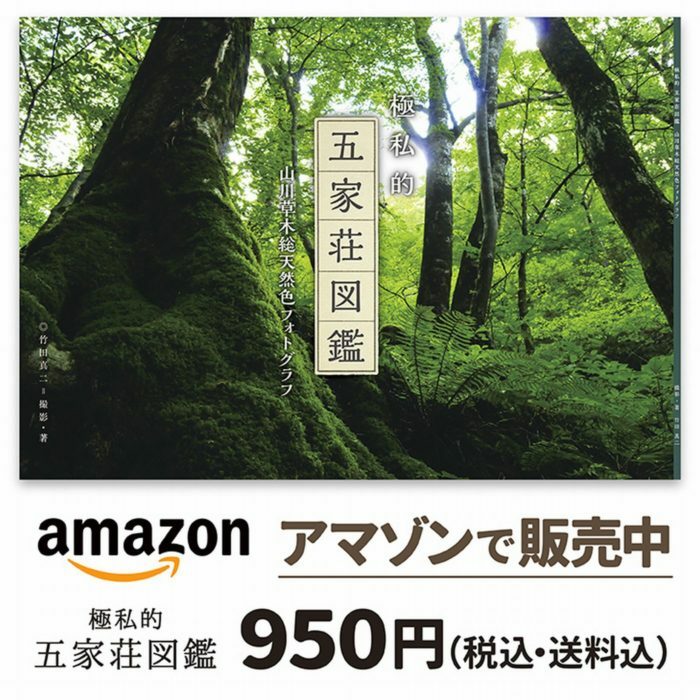 This is a collection of my photographs and texts showing the natural environment of the Gokanosho region, a relatively unexplored corner of Kumamoto Prefecture. Gokanosho, located in Izumi-machi of Yatsushiro City (formerly Izumi-mura), is surrounded by mountains roughly 1500m in height. The region contains a variety of landscapes, and rare flowers bloom throughout the four seasons. In addition, it is home to traditional cultures such as Kagura, that have been passed down through the generations. “Gokushiteki Gokanosho zukan” is a selection of photographs from the web site of the same name, created by me. The book is published in a landscape A4 format, and contains 40 pages of my photographs and hiking texts. The first edition printing is limited to 1000 copies. Published November 12, 2018. Designed by Asako Hashimoto, PARCEL. The book is delivered direct to your mailbox, so it takes 4 to 5 days to arrive. This book can be purchased and delivered only in Japan.